For some time now, Samsung has been the dominant player in the Android space, especially at the high end of the market. From the Galaxy S2 onwards, Samsung has been able to ride the wave of the smartphone industry’s growth without much disruption. 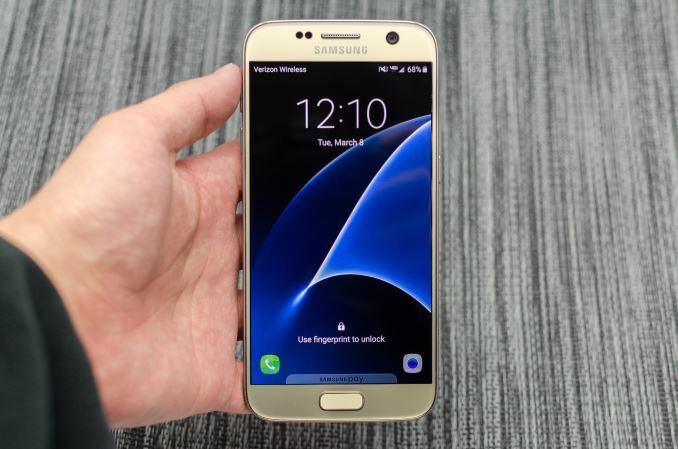 Samsung has also shown a pretty impressive ability to adapt to changes in the market as seen by their dramatic departure in materials from the Galaxy S5 generation to the Galaxy S6 generation. 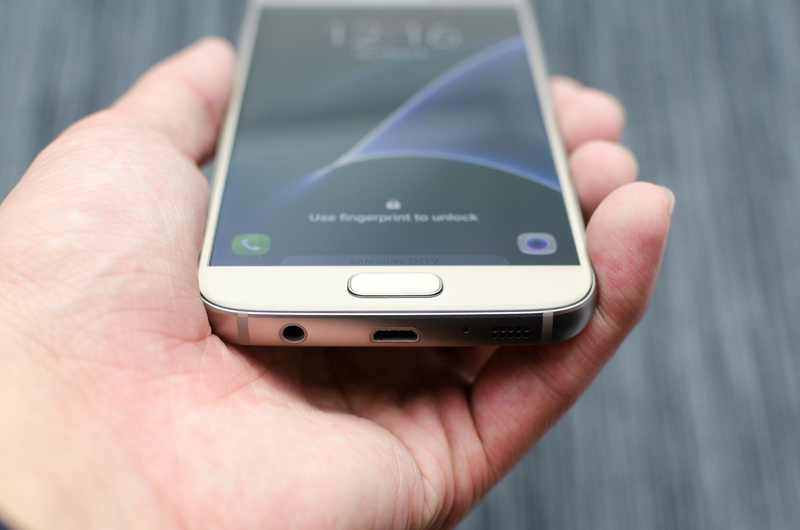 While the Galaxy S6 was ultimately one of the best phones you could get that year, at least a few design decisions like the loss of removable battery and microSD slot were generally considered to be a step back relative to previous devices. Throughout their reign of dominance Samsung has always been able to stay on top, however their competition is never too far behind. To that end, it’s probably obvious now that the Galaxy S7 family represents an attempt to improve on the Galaxy S6’s perceived faults, while building upon its perceived strengths. In order to start discussing these changes, we can start by looking at the basic specs and design of the Galaxy S7 and S7 edge. One of the other major changes in terms of design this time around is electing to go with a significantly larger battery than before. 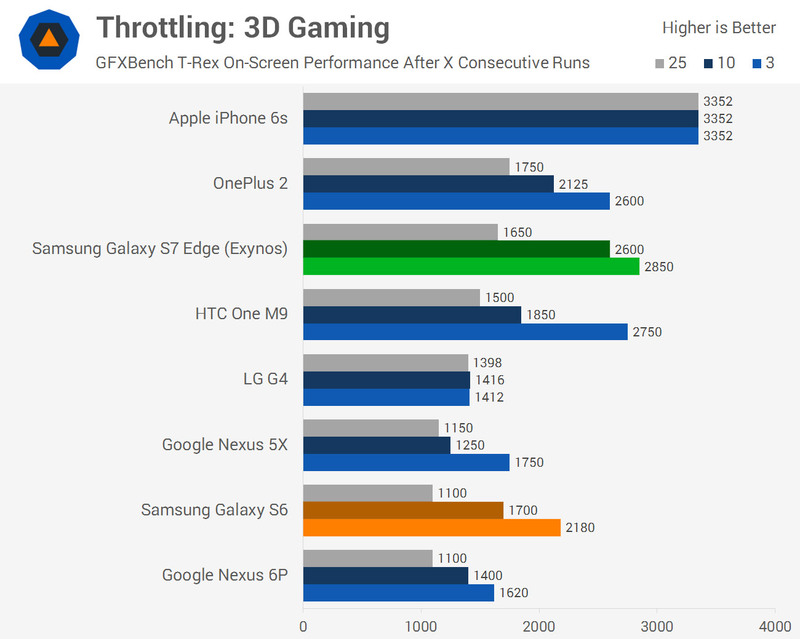 Compared to most other aspects of smartphone technology, battery technology is a more mature field and improves as a slower pace, so the tradeoffs made here result in a thicker device and increased weight relative to the Galaxy S6. However, as we’ll soon see Samsung has made a number of changes in the industrial design which help to mitigate these issues. Meanwhile, with the Galaxy S7 generation, Samsung has further blurred the line between the Galaxy S lineup and the Galaxy note. The Galaxy S7 edge is a 5.5-inch device - fully into the phablet territory - and only 0.2 inches smaller than the 5.7" Galaxy Note5. This means that the two Galaxy S7 phones are now more significantly differentiated than with the Galaxy S6 generation, where the difference amounted to the dual-edge display and a slightly larger battery. 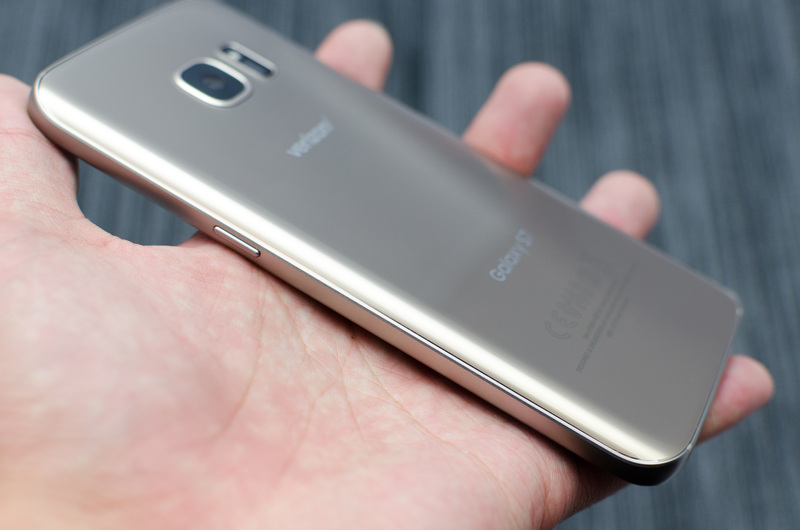 Now the Galaxy S7 edge is larger, ever so slightly heavier, and contains a battery with 20% more capacity than it's base Galaxy S7 brethren. The final change of note in the Galaxy S7/S7 edge is the camera. With the Galaxy S6 review it was hard to avoid wondering why Samsung didn’t bother to integrate a camera with larger pixel size to improve low light performance, especially when camera was such a significant part of the Galaxy S6 design story with the noticeable camera hump. For the Galaxy S7, Samsung has gone ahead and done just this: the pixel size is now 1.4 micron which should significantly increase the number of situations where the image quality is limited by shot noise rather than image sensor noise. And to top things off the camera hump has now been almost entirely eliminated. On a quick housekeeping note before we dive in, as we've had less than a week to look at the Galaxy S7, we're dividing up our review into two parts. Today we'll focus on the basics: performance, battery life, design, and the display. Part 2 will go deeper, looking into the Snapdragon 820 SoC in fuller detail, and coupling that with Wi-Fi performance, camera performance, and more. Now that we’ve gone over the high level changes of the Galaxy S7 and S7 edge, we can start talking about the design of the device. While the Galaxy S6 was an enormous departure from what we were used to seeing from Samsung, the Galaxy S7 is really more an evolution of the Galaxy S6 design. 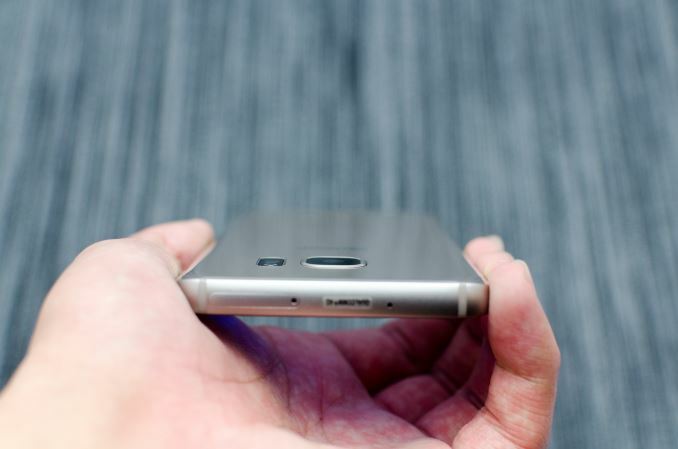 As previously mentioned, it is noticeably thicker and heavier than the Galaxy S6. 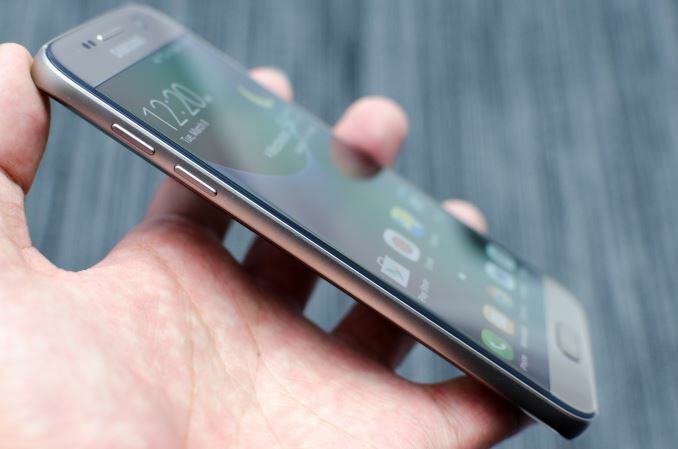 However, to offset this increase in thickness Samsung has integrated the curved 3D glass of the Galaxy Note5 into the design of the Galaxy S7. The result of this change is that the Galaxy S7 arguably feels much better in the hand than the Galaxy S6. While I didn’t really have huge issues with the ergonomics of the Galaxy S6, it definitely felt a bit blocky relative to something like the Xiaomi Mi Note Pro and didn’t quite fit in the hand as nicely. The weight increase is noticeable, but not really the end of the world. The thickness does result in a noticeably reduced camera hump, but on a personal level I never really cared about the camera hump in the Galaxy S6, so I’m not sure I care about the reduction in the camera hump here. I would actually argue that a camera hump is preferable to a camera cover lens that is perfectly coplanar to the back of the phone, as it means that the camera lens isn’t contacting whatever surface I’ve set it down on. While sapphire cover lenses go a very long way to eliminating the potential for scratching a cover lens, there’s also the potential for oil to smear on the camera’s cover lens so I would actually prefer having a camera hump. The other noticeable change here is the re-introduction of 2.5D curved glass on the edges of the display. I’m not quite sure why Samsung tends to remove and re-introduce this design element seemingly on and off, but it does help with improving the feel of edge swipes at the cost of complicating some things like screen protectors and glass lens durability. Honestly speaking, I’m not sure how much of a difference it makes either way, but it does remove another edge present in the design. Other than these changes, the design is almost unchanged. The power button remains on the right side of the device and is well-positioned ergonomically. The volume buttons are pretty much in the same place on the left side as well. The 3.5mm jack, micro-USB port, and single speaker are all on the bottom of the device. The only notable deletion in terms of design elements here would be the loss of the IR port on top of the device, which was removed from Galaxy devices starting with the Note5.